FOR FREEDOMS 50 State Initiative Billings is a collaborative offering of community conversations, art and correlating events which will provide non-partisan forums for action and discussion of values, place, and patriotism as part of the national For Freedoms 50 States Initiative (see below) in advance of the November 2nd mid-term elections. For more information, please contact Artist Director Sherri Cornett via this website's contact page. 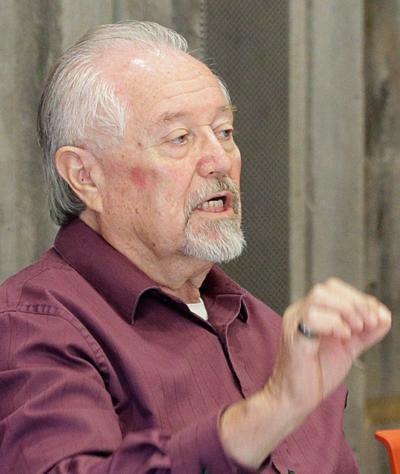 ​Supported in part by a grant from the Montana Arts Council, an agency of the State Government. Moderator: Russell Rowland, Co-Director of this series and main contact for this event, rowlandrussell@gmail.com. Table discussion leaders included Jade Bahr, Jen Lynn (Ph.D/Women and Gender Studies/MSUBillings) and Sonia Davis (SURJ Billings). We welcomed all voices and points of view in respectful conversation and encouraged questions and active listening as we sought to broaden our understanding of freedom in our community. Facilitation assisted Sherri Cornett (Artist Director/For Freedoms 50 State Initiative Billings). "Native participants work to dispel myths, falsehoods as part of "For Freedoms" initiative"
Community discussion about discoveries made while sharing our stories and identities facilitated by Rev. Dwight R. Welch of United Campus Ministry, and Parsa Hajy Abbasi (student from Iran), Tristen Belgrade (student from Rocky Boy (student from Chippewa-Cree tribe), Morgan Syring (MSUB Art Club Collective), Mitch Bohn (speaking from disabled student perspective), Jen Lynn (MSUB Women's and Gender Studies) and Patricia Vettel-Becker (MSUB Art Department Chair). Parsa spoke about learning to acknowledge, not oppose, when people misunderstood him because of his language and that he chose to become an ambassador for his culture. Tristen spoke about learning to expect racism, but not to let it stop him from his goals, despite historical efforts to make his people extinct. Morgan grew up in small towns with a single mother who emphasized supportive, civil listening and the importance of accumulating knowledge of others, Mitch told us about how fellow students expected that he must be in special education because he is in a wheelchair, but that accessibility is growing on campus. Patricia and Jen said that, since 2016, there is more intentional inclusivity and efforts to be more vocal for humanity and human rights. Dwight suggested we watch MLK's "What is Your Life's Blueprint" speech to middle school students. The goals of the national #DinnersProject are to amplify the efforts of creatives who are spearheading non-partisan civic and social change; build and strengthen relationships; have engaging and inspiring conversations and spark new projects and collaborations, all while breaking bread together. Creatives in Billings gathered to share their thoughts and ideas about: What art-based activities are being used or could be used to enhance our community? To support important issues in our community? What would those issues be? What do artists need in our community to thrive? To stay connected? What communities are you part of? How could we connect them? ​Signs will be available during both events above for participants to draw/write on. Club Art Collective members Angel Shandy, Kari Adams, Casey O'Malley, Morgan Syring and Emma Berry will create large canvas murals to install at the two Town Hall events. Saturday, September 15, 2018, 12 - 1:30 p.m.
A moderated discussion about contemporary art and its relationship to placemaking and community building in the region. The work of each of these artists presents unique challenges to museum curators—how do public art installations, video and electronic works, multi-media dance performance, and graffiti art challenge and expand the role of the museum in today’s cultural landscape? The innovative and challenging works of these four artists intersects, recasts, and confronts many of the traditional roles of our regional cultural institutions. How might the museums of today accommodate the flow of relevant new ideas that fall outside of conventional norms mediated by the art market? "The Victims of the Third Degree: Billings' Pre-Sedition Climate"
October 12, 2018, 10 a.m.
2822 Montana Ave, Billings, MTExplore the rich history of the south side! On this tour, we’ll look at the remnants of Billings’ railroad beginnings, see the influence of the sugar beet factory and learn about the role of South Park in our community. This tour begins South Side Senior Center - 901 S. 30th Street. Call if you need directions. 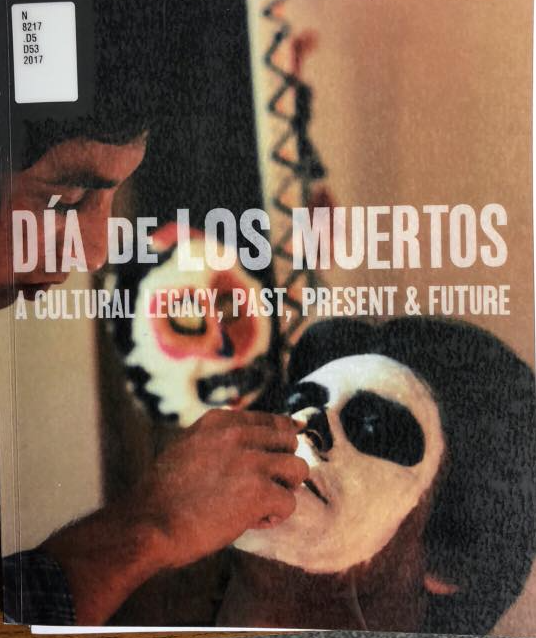 October 18, 2018, 5-8 p.m.
Betty Avila, Co-Director of Self Help Graphics, Los Angeles, will discuss the Dia de los Muertos: A Cultural Legacy, Past, Present, and Future exhibition. 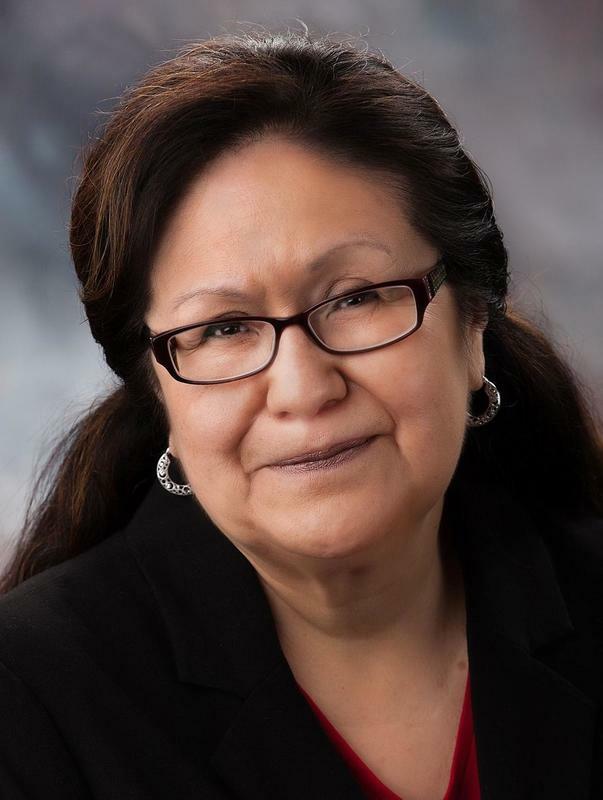 Betty Avila is a native Angelano whose work has centered on the intersection of arts and social justice, with particular focus on community building, public space, and youth empowerments. A moderated conversation with members of the local Hispanic community, arts leaders, and MSUB students will follow. The presentation explores the mix of sacred indigenous tradition, Catholic influences, and pop culture in Day of the Dead imagery. Given recent popular attention to the celebration and regional debates regarding cultural appropriation, the evening offers a forum for campus and community to consider the celebration’s contemporary relevance for various audiences. Originated at Self Help Graphics in Los Angeles, this exhibition brings historical contextualization to the celebration and offers a forum to consider regional debates regarding cultural appropriation. The exhibition not only shares and contextualizes the cultural form of Día de los Muertos with the Billings community, but also introduces audiences to a successful community art and arts education project that has continued to evolve over 50 years in response to community needs and a changing climate related to diversity issues. SHG is a model community-based grassroots project that is noted for inspiring, training, and creating a supportive community for generations of Chicano artists. It continues to evolve as a community arts-based project offering innovative programming that links youth (including at risk youth) and adults with arts and culture and local artists and institutions. We are open to contradiction. Complex and complicated. We can't be defined by any current standard definition, i.e. liberal, progressive but are about embracing the value of perspective and how we can learn from our seeming differences. For Freedoms is a bridge, a partner. There is room for every voice at the table. We are forward-thinking. We push boundaries and transform. We activate, inspire, and challenge. Our work is ever-evolving. We are always in movement, never staying still. WE ARE THE MULTIPLICITY. We allow things to be chaotic, entropic. Serendipity and randomness are important to us. Disorder—when harnessed correctly—can be representative of a collective, harmonious sense of communal difference (and acceptance). We look for opportunities to celebrate dynamic and multidirectional energy. How is For Freedoms funded? For Freedoms Federation is a sponsored project of Artadia, a non-profit arts service organization. Contributions to For Freedoms are tax-deductible and support educational programs, exhibitions, and partnerships with museums and other not for profit organizations. For Freedoms Federation is supported by The Bromley Foundation, Ford Foundation, Kickstarter, Muriel Pollia Foundation, Openbox, quiet, Rutter Family Art Fund, Sawyer Family Fund, Silicon Valley Community Foundation, Surdna Foundation, Unbound Philanthropies, VIA Art Fund, Westridge Foundation, The For Freedoms Advisory Committee, and many generous individuals. THANK YOU TO THOSE WHO MADE THIS PROJECT POSSIBLE THROUGH DONATIONS, SUPPLIES AND DISCOUNTS! 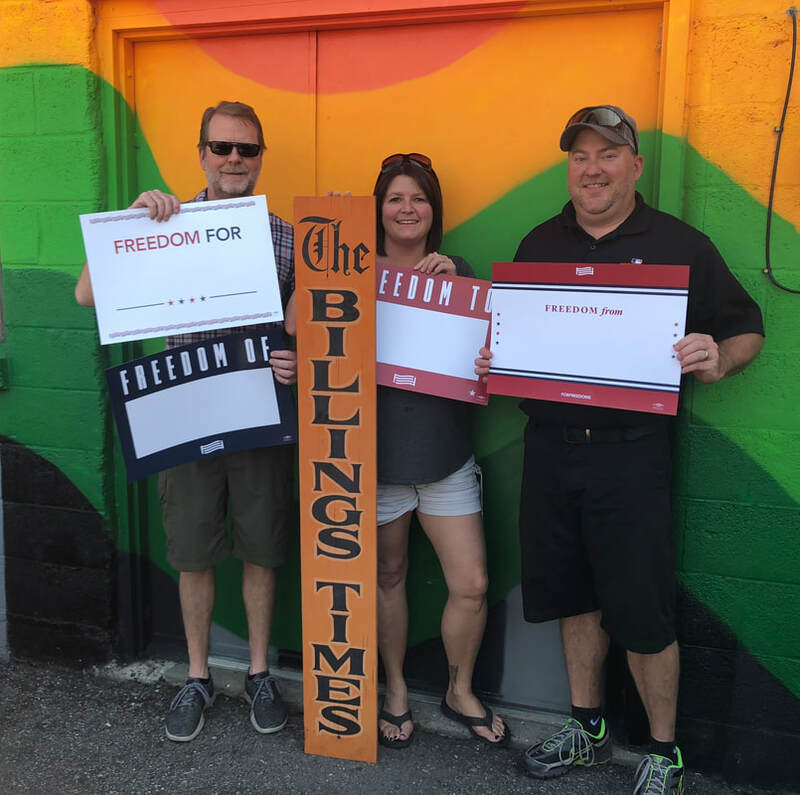 Billings Times Printing and Publishing, Patricia Vettel-Becker, Terri Porta and Pete Tolton.